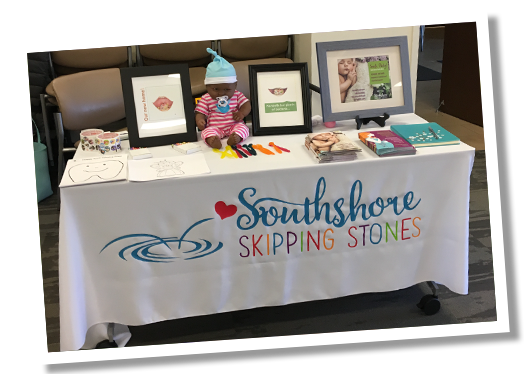 As an education foundation, we value every opportunity to interact in the community, give presentations, and provide healthful information to parents, caregivers, families, health and dental providers, and community organizations. If you would like us to give a presentation in your office on how our programs could impact your patients, we would be honored to do so. Please contact us to discuss options, including CE credit for some of our presentations. We would be thrilled to make a presentation in your office during a staff meeting, lunch meeting, or group meeting. Please contact us about CME opportunities as well. If your organization works with pregnant women, new parents, or families have we got some healthful information to share with you. Please contact us about setting up a presentation for your organization. We also participate in health fairs and baby showers! Have you met the Tooth Trainers yet? This group of healthy tooth loving trainers has an enthusiasm that is catchy. From demonstrations to kids of all ages on how to brush their teeth to lifting tooth weights, this group is sure to be a crowd pleaser. The Tooth Trainers are available for children’s health fair events as well as school presentations. 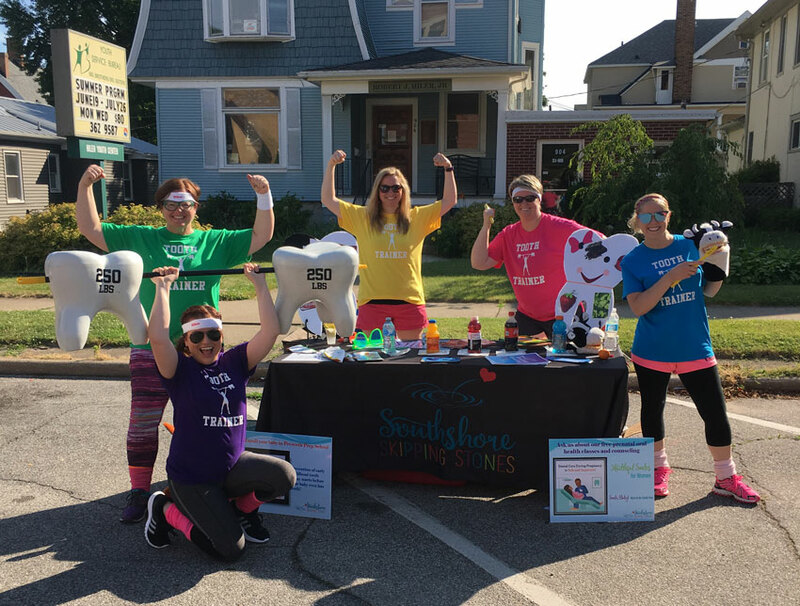 These trainers are from Michigan City Pediatric Dentistry and Southshore Skipping Stones – covering healthful smiles from pregnancy through teenage years. Contact us for more information.